We’re living in the golden age of muscle cars. An age where engines far surpass the best the 1960s had to offer. These modern cars keep the candles of horsepower burning bright. This is it. The last and arguably the best C7 Corvette ever made. 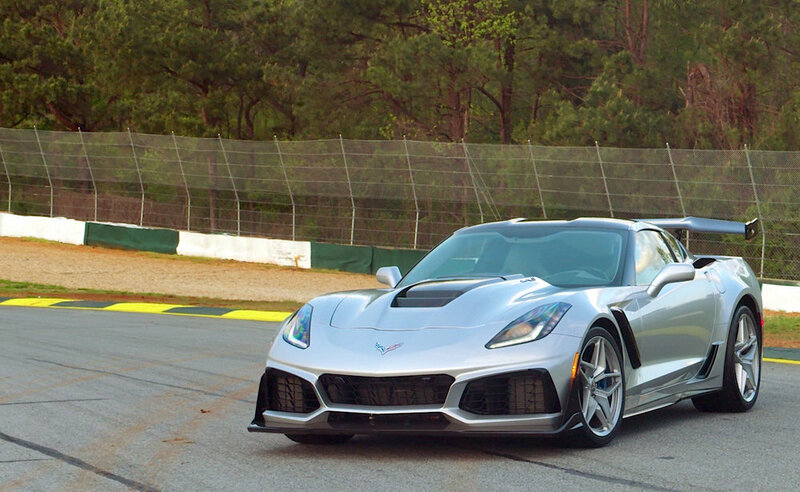 With the mid-engine C8 looming on the horizon the wizards over at Chevrolet decided to throw everything at the existing C7 platform they could think of. That meant a 755-hp supercharged 6.2L LT5 V8, an aero package fit for a spaceship and of course a 7-speed manual gearbox that helps the ZR1 reach a top speed of 212-mph. More than just a mid-cycle refresh, the 2018 Ford Mustang GT comes to us with 460 hp / 420 lb-ft of torque and a 0-60 time of just 4.3-seconds. A new 10-speed automatic transmission option is available (if you don't like banging gears) along with some slick interior enhancements. The 2018 Chevrolet Camaro ZL1 1LE blurs the line between tradition and tech in a way few cars can.